These are the links and resources referenced in my Training Magazine presentation on January 20, 2011. Rapid E-Learning Blog posts: there are many posts and demos to help you get the most out of PowerPoint for rapid elearning. 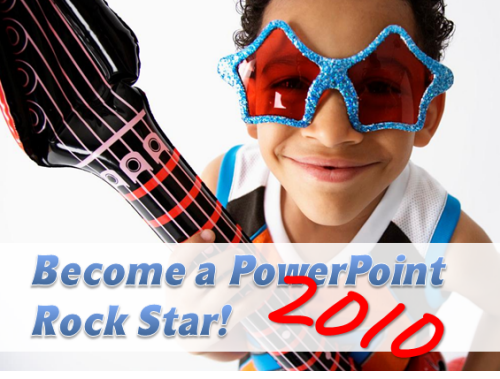 PowerPoint 2010 tutorials: a series of quick tutorials (most under a minute) to show how to use very specific features. Non-Designer’s Design Book: If there is only one book to buy, it’s this one. You’ll learn all of the basics about typography and visual design. Beyond Bullet Points: Great tips to help organize your content whether presentation or rapid elearning. Better the Bullet Points. 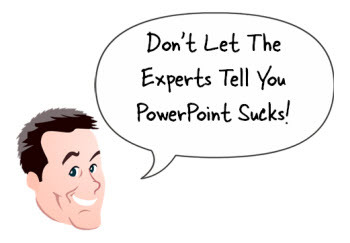 Practical tips on using PowerPoint. Slide:ology: Great book on visual design concepts and how to craft better presentations. They have some good examples of branded templates that do work. Presentation Zen: This book is very similar to slide:ology and will help you learn to communicate better with your slides. I haven’t read it yet, but his new book is supposed to be good. Back of the Napkin: Great book on organizing ideas and visual communication. Various PowerPoint books: Tufte is a critic of the poor use of PowerPoint. He offers a lot of good information on how to present complex data. There are also all sorts of good how-to PowerPoint books. Audio and video editing: there are a number of audio/video tutorials in the stream. 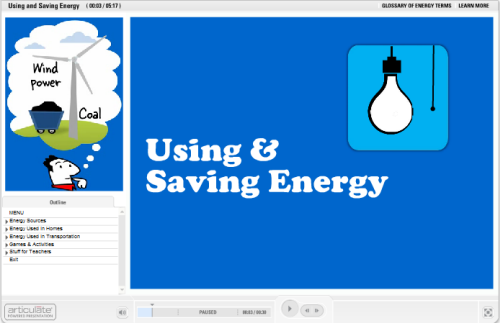 Output as video: example of how you can use a video made in PowerPoint for your rapid elearning course. The video in the presenter panel was created in PowerPoint 2010 and published to .wmv. From there it was converted to .flv and inserted in the elearning course. Here’s a good starter tutorial on how to do this.